In 2014, the Association of American Medical Colleges found that 4 percent of the nation’s physicians are African American. That’s compared with 13 percent of the total U.S. population. White physicians, on the other hand, make up 48.9 percent of the profession. Tweedy is a graduate of Duke Medical School and Yale Law School. He is now an assistant professor of psychiatry at Duke University Medical Center and staff physician at the Durham VA Medical Center. 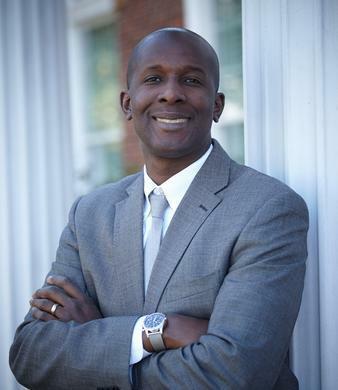 His book focuses on two themes: his experiences as a black medical student and young doctor as well as the health issues that affect African Americans. Tweedy said he recognized his difference as a black man in a white-dominated field from his very first year as a medical student. “I’m coming to Duke from a working-class background in Maryland, a whole African-American community, and coming to Duke and feeling insecure and how I’m going to make it here,” Tweedy said. “You come in on affirmative action and scholarship and there are all these thoughts that go through your mind. About a month into that first semester, I’m coming back into the classroom from a break and a professor approaches me and in an angry irritated way asks me if I’m here to fix the lights. One day you’re a basketball star, another day you’re a criminal. But it’s one thing to happen from someone who doesn’t know you but it is a different thing when it is someone like a professor in your course who is in control of the next step for you. When asked why he did not challenge the professor, Tweedy said that there are so many thoughts that go through your head when you experience stereotyping like that. 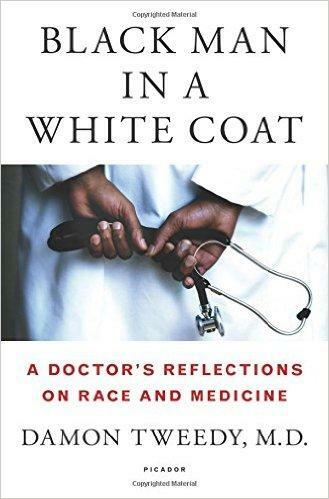 "Black Man in a White Coat," by Dr. Damon Tweedy. That was 1996. Tweedy said that, at that time, Duke was in a period of transition in terms of numbers of minorities enrolled in medical school. He says that for himself, getting older has helped the perception of him as a qualified doctor. "St. Louis on the Air" host Don Marsh discussed "Black Man in a White Coat" with Dr. Damon Tweedy. The answers to those questions can be found in Tweedy’s book. For information on how the medical lives of African Americans are impacted by race, check out “For the Sake of All,” a health study that looks at just these topics. When: Thursday, Oct. 15 at 7:00 p.m. Please help "St. Louis on the Air" by suggesting topics we should explore: What do you want to here?